Welcome to Adagio! 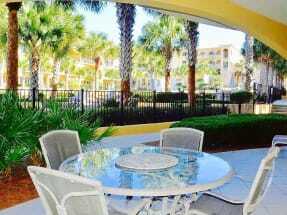 This gorgeous condominium complex is the perfect place for you to stay on this trip! Emerald Coast by Owner is proud to offer you a number of luxurious and elegant properties with up to 5 bedrooms! When you stay here, you’ll be accompanied by our amazing location, the awesome community pool, private balconies and so much more. While the properties are outstanding, the fun doesn’t end there. This area is fantastic for activities and attractions! Around here, people love to go parasailing, deep sea fishing, paddle boarding, swimming with dolphins, on helicopter tours, boat tours, diving charters, golfing, race go-karts and so much more! You’ve got to try all the delicious seafood and drinks the area has to offer! It’s fun, delicious and comes with great service! A few places we recommend you try are Elmo’s Grill, Stinky’s Bait Shack, and Louis Louis! Come on down and enjoy yourself, you won’t regret it! Browse our selection of Adagio condos for rent below. Contact the property owners directly by clicking the email owner button found on each listing. Our property owners will gladly answer any questions you have and assist you in the booking process. 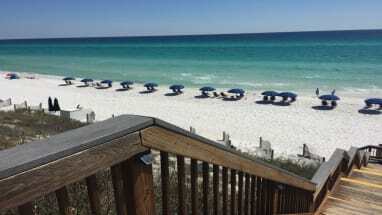 Book online today with Emerald Coast by Owner. Adagio E-202 Poolside Condo - NEW UNIT! Adagio F-101: Pool-side Corner Unit! Adagio D-403 Pool-side 3/3 - NEW LISTING!! !